Truly though – I really love this post. I have a blog I rarely write on… your post made me want to link this to my blog! And it made me want to write again on my blog! And it made me want to start reading START! And your posts are awesome, so don’t fret te numbrs! 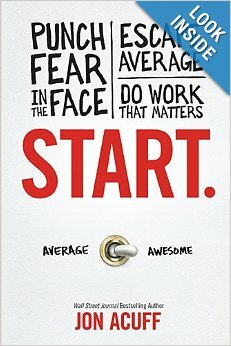 I whole hearted recommend the book, starting, not worrying about the numbers, and being awesome! Thanks for the feedback, faithful readers!